This is me teaching at the Holistic OT Yoga and Meditation Retreat. I love teaching! I love learning! Isn’t that what life is all about? It has been quite a journey learning how to be on the other side of health care or sick care so I could help people to stay well, prevent disease, and listen to their intuition. 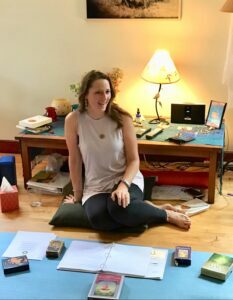 Even though it was scary when I first embarked on this path, and I didn’t exactly know where I was going, I learned to listen more fully to my intuition and what was calling me. Had I continued to stay in those types of working environments I would have continued to experience tremendous anxiety, depression, and frustration for not following my heart. I would have felt I was part of the problem versus the solution. I knew it wasn’t the right path for me, but I didn’t know what or how to create another way. Now, nearly 2 decades after studying, practicing, and applying what I have learned in my own life and those whom I have had the honor to serve, I feel more confident and grateful that this is the right path for me. 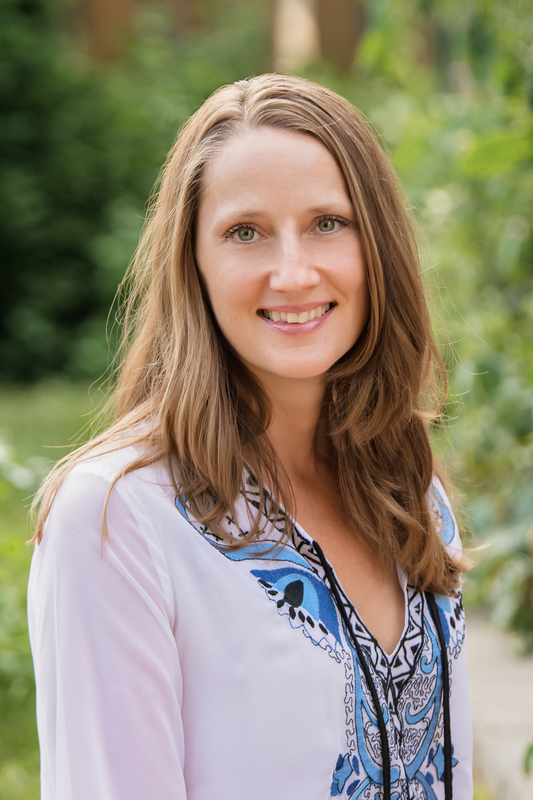 Emmy Vadnais, OTR/L teaches health care practitioners how to integrate yoga, meditation, relaxation, intuition & spirituality into their health care practices. Mainstream health care is adopting meditation, mindfulness, relaxation techniques, yoga and more into their programs. Health care practitioners are hungry for ways to holistically serve others and adopt these practice in their lives to prevent or recover from burnout. People, in an individual and grassroots effort, have sought out more ways to stay well, prevent disease, lower suffering, feel better, and enjoy life with more peace. I am grateful to help people on their path to recognizing their wholeness, completeness, and oneness with All – to be actively part of their consciousness evolving and to “Align with the Divine” – listening to their heart, how to inspire others, serve others, and be part of their creative play – joyfully! Please check out my continuing education classes in the “Classes” tab above. What are you learning? What are you teaching? If you’re not sure, are you listening within? Contact me if you would like assistance on your soul’s path.